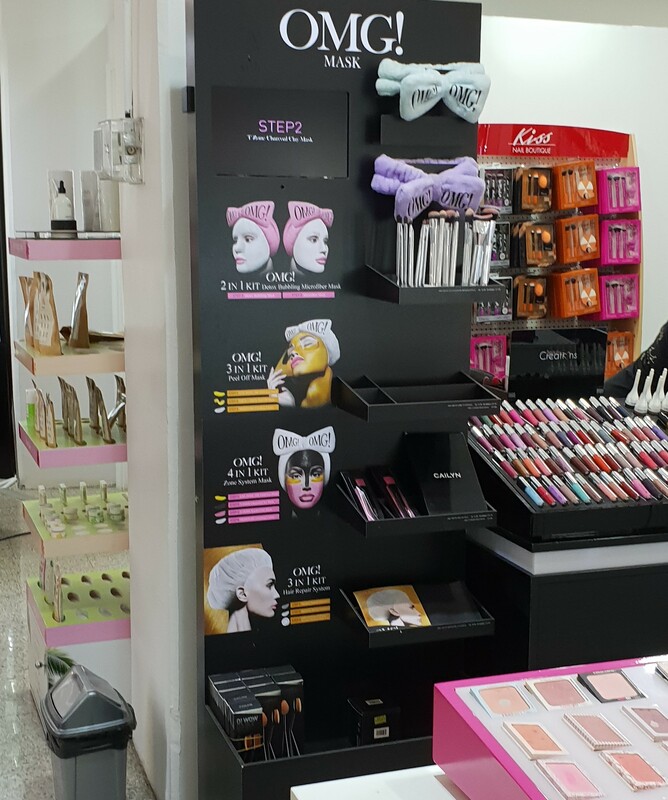 They had all sorts of brands at the Makeup & Perfume Section (photos below) meaning I could’ve potentially spent a lot of cash there, but a Sales Assistant was being obnoxious and highly annoying, so I payed for what was already in hand and quickly left the place, to spend my money elsewhere. I picked up a Jean Jacket from Next and a whole bunch of stuff from Bath & Body Works (but more on those in the next post). I remember seeing Justice at Marina Mall years ago, but it was mostly a kiddy store (little girl’s clothing). More recently (last year), when I had some out-of-town guests visiting me, I showed them around the “The Souq” area at The Avenues and as we were leaving that area, we stumbled upon Justice (mostly accessories but some makeup-y items as well) where the women spent ages in there picking out gifts for their loved ones back home and the men not-so-patiently waited outside lol The Mishref Co-Op branch just like the Avenues branch had the cutest items ever! They had all kinds of adorable hair accessories, handbags, “jewelry”, stationary, towels, decor items, sport-y water bottles and so on. 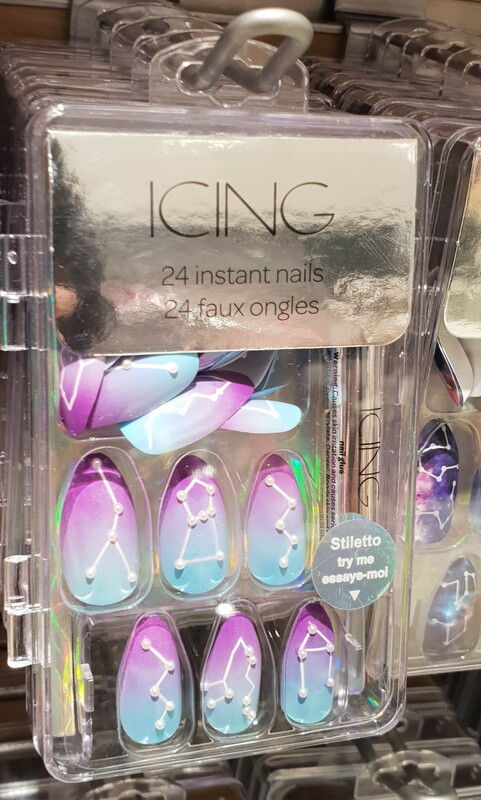 One of the things that really grabbed my attention were these really cool press-on nails! For starters, the nails were actually stiletto-shaped (pointy)! Second of all, they came in a gorgeous pastel-y ombre design and an even more stunning galaxy design, both of which were very pretty! Best of all and in my opinion, the coolest thing ever, they both had constellations! The store had other designs, but these were by far the coolest! 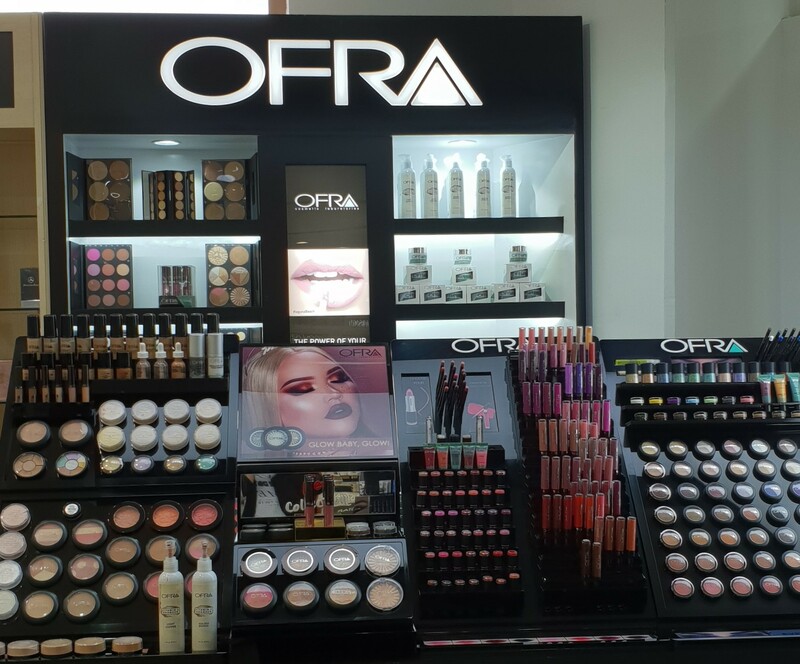 Further down the hall, I entered the Makeup & Perfume Section where I spotted Ofra Cosmetics! 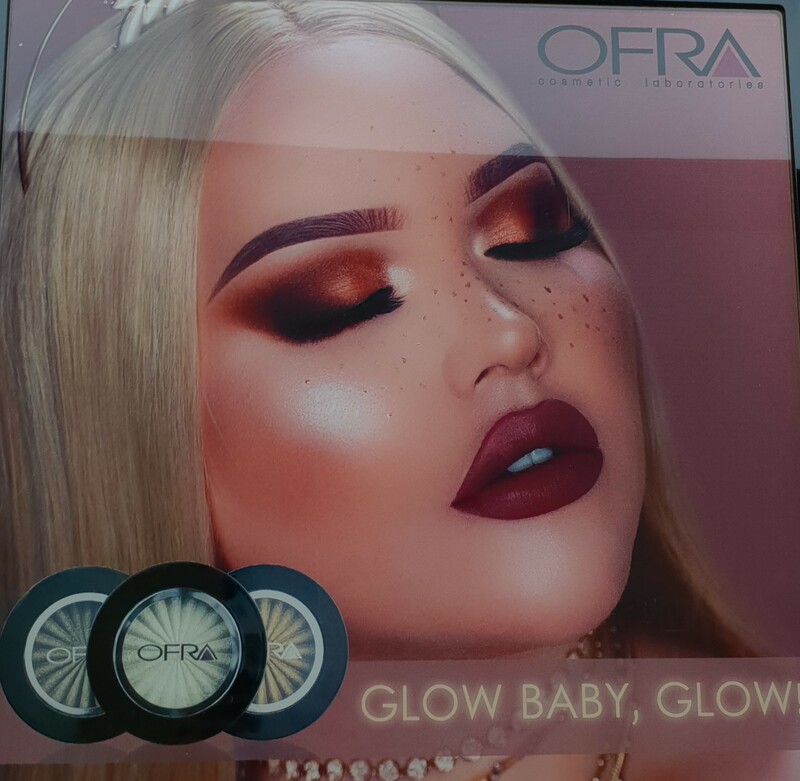 I didn’t even know we had Ofra in Kuwait, but I’ve been lusting after their Highlighters since forever! That’s Nikkie from Nikkie Tutorials on YouTube! The angle isn’t doing her any justice but the girl has the face of an angel (she was born to wear makeup)! That being said, I don’t follow her religiously or even follow her at all (different product availability on account of her being from a different country, different skintone, etc…), but I have come across several of her videos on YouTube over the years and she seems extremely likable! 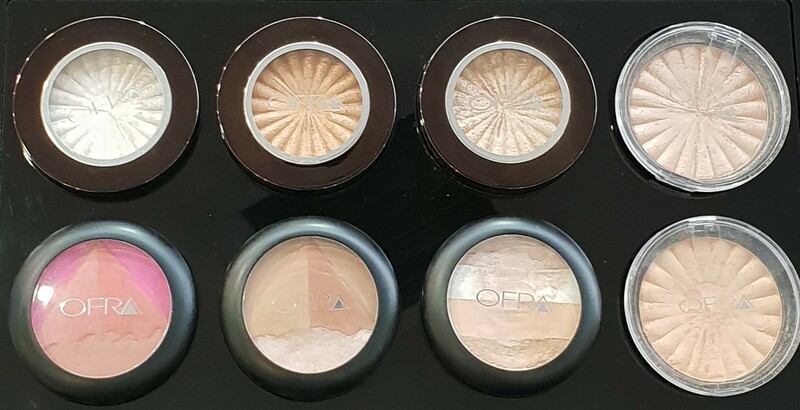 I was just about ready to pick up that Blush and definitely a Highlighter or two (the lighting isn’t doing them any justice but in real life they looked stunning) when I heard the Sales Assistant talking about me to the other Sales Assistant, “What is that girl taking a picture of?” So, I tune them out and walk over to the next counter. 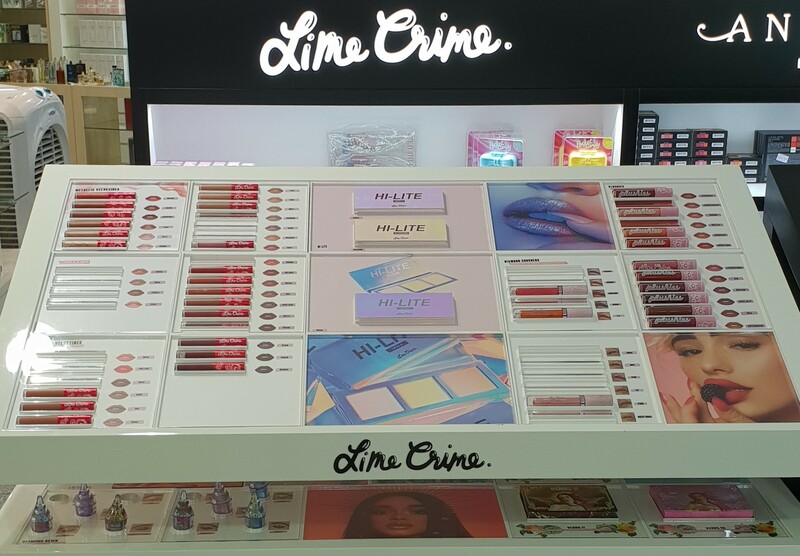 It kinda’ bummed me out when I first started getting into makeup and couldn’t get my hands on Lime Crime. Over the years, there’s been so much controversy surrounding this brand but… how fun does the packaging look? Unfortunately, I could still hear the Sales Assistant chattering away about me (“What is she doing? What’s she taking a picture of?”) which was starting to annoy me. 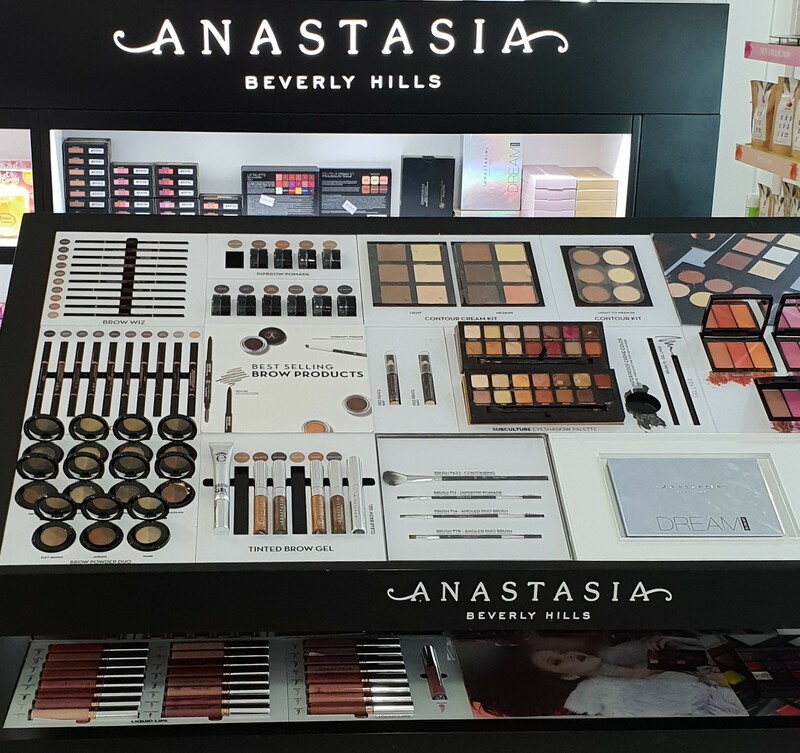 I can’t believe that they legit sold Anastasia at Mishref Co-op! Forget taking your passport and traveling all the way to The Avenues. You could just pop by your local co-op every time a new Anastasia Palette drops or if you ran out of your Brow Wiz! 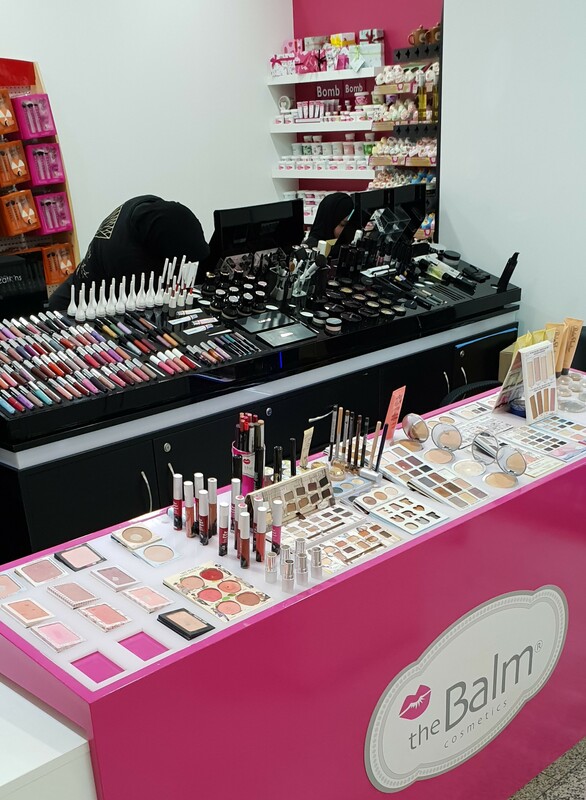 I also spotted Bomb Cosmetics (previous haulage here) and theBalm Cosmetics (previous haulage here)! It’s official, beauty junkies who live in Mishref, are lucky, lucky duckies! 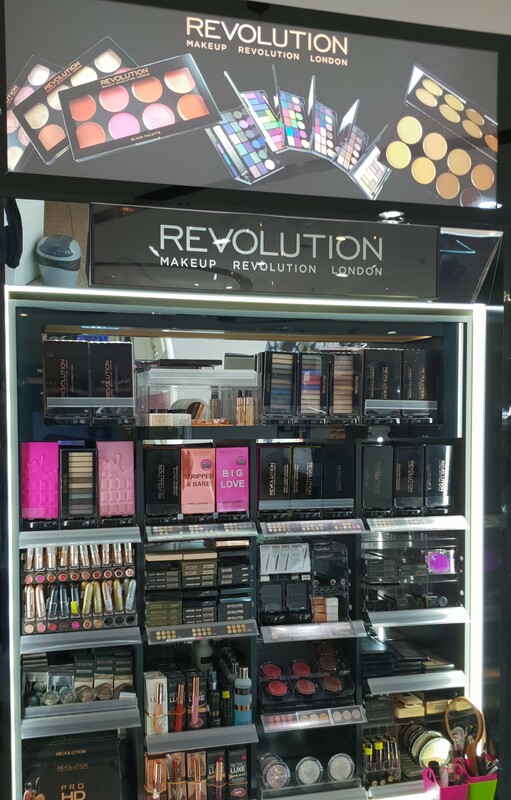 I even spotted Makeup Revolution (previous haulage here)! Just as I was about to start swatching stuff, the Sales Assistant’s incessant chatter got to me and I snapped. I mean she was all the way in the back and still talking about me. So I walked up to her and asked her if there was a problem. She told me that there was no problem, but I wasn’t allowed to take pictures. So I told her she could have just said so from the start, because I could hear her talking (very loudly) about me from the moment I walked in there. She tried to justify what she did. 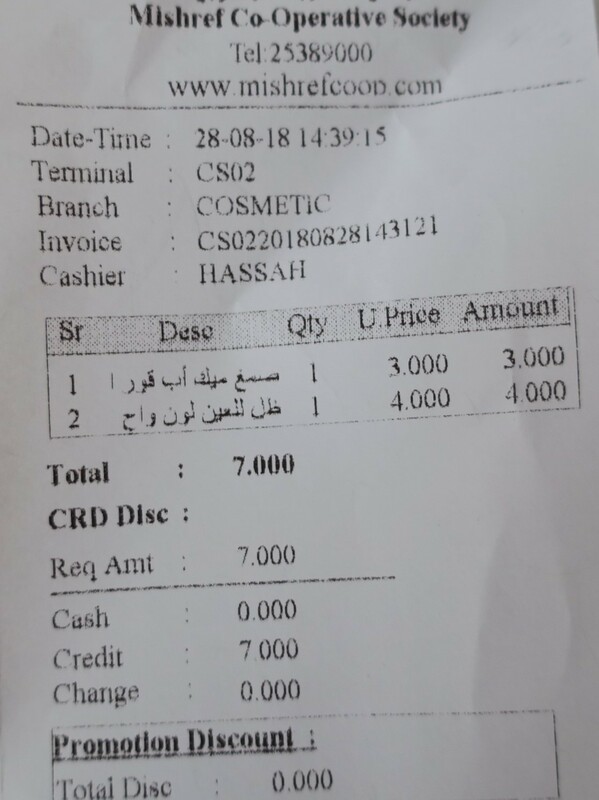 I tried explaining that by taking photos and sending them to my friends via Whatsapp, I was actually informing them that these brands were available locally which therefore meant that Perfume & Makeup Section would get a bunch of new customers, which in turn meant more sales, which meant a commission for the Sales Assistants. As you can imagine, neither of us got anywhere and her smarmy attitude only served to incite me further. I would’ve been less annoyed if she’d actually gotten her enormous lazy behind up and followed me around (if she was truly worried that I’d steal something or whatever) rather than having her talk loudly about me from her seat all the way in the back. I swear, I don’t know what it is with me and any and every overweight middle-aged Egyptian woman who wears the hijab, but we just do not get along. I decided to just pay for the stuff that I was already carrying and leave the place. OMG! 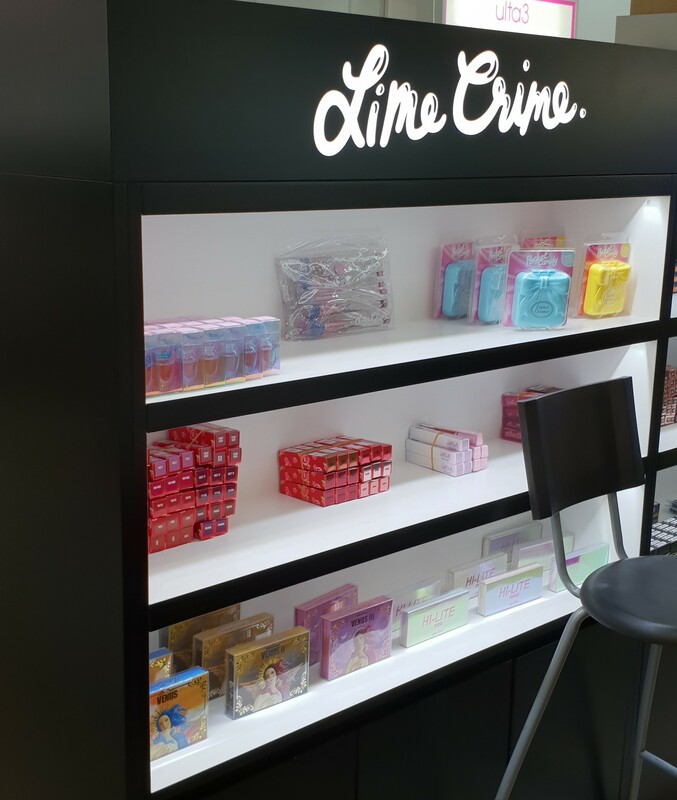 is some sort of skincare brand which I spotted earlier somewhere around The Avenues (Phase 4? )… I wanna’ say at Debenhams but don’t quote me on that. I’ve noticed Pinky Goat before at the Perfume & Makeup Exhibition that take place twice a year at Mishref Fair Grounds, but I’ve never actually purchased anything from them. For some strange reason, I’m quite wary and suspicious of brands that originate in any of the Arab countries, especially Kuwait. Personally, I’d skip the glue but those False Lashes look lush! 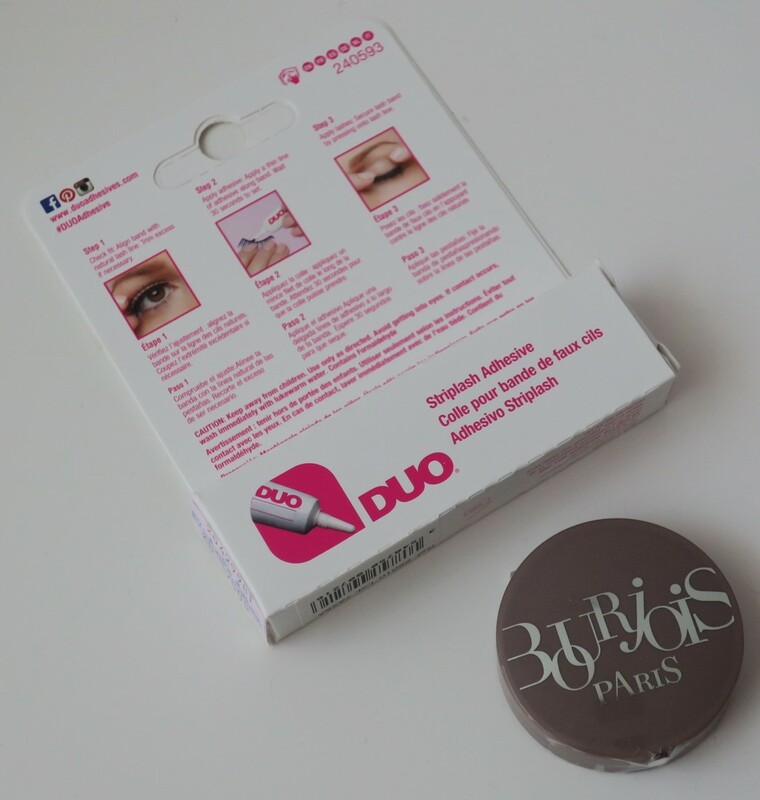 I picked this up from the Makeup Forever counter because the previous lash glue I got (haulage here) just wasn’t cutting it for me. I’d glue on the strip of False Lashes and move on to applying bronzer and highlighter and whatever else next and just as I was about to walk out the door, the inner corner of the lash would come unglued :/ This has happened on more than one occasion and with several different lash styles (all with thicker bands though) so I decided to just go back to my old-school favorite. 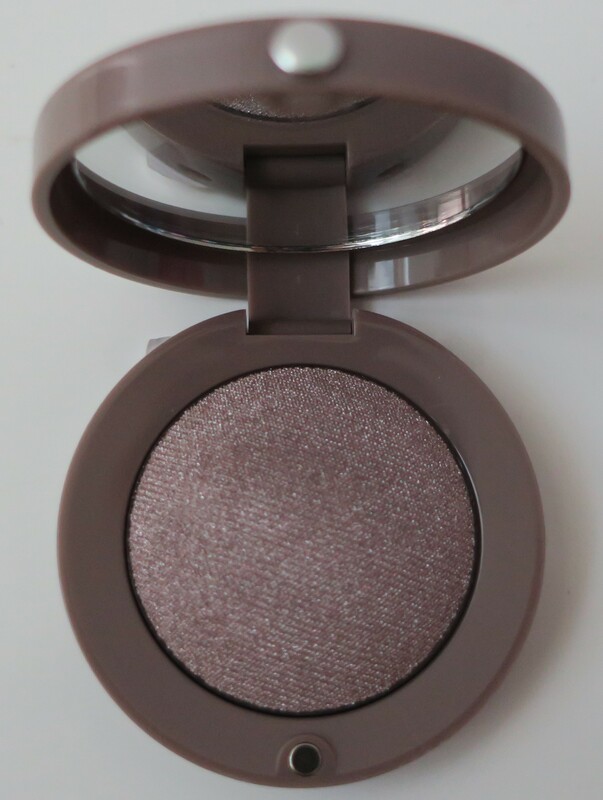 I’m still on the lookout for a dupe of my beloved Urban Decay Stray Dog Eyshadow and Bourjois Mauvie Star Eyeshadow seemed somewhat similar in-store. However, after actually applying it to my lids back home, all I noticed was an insane amount of glitter, which is not what I’m looking for. I’m definitely going to try using it foiled next time and hopefully that’ll tone down the frost. 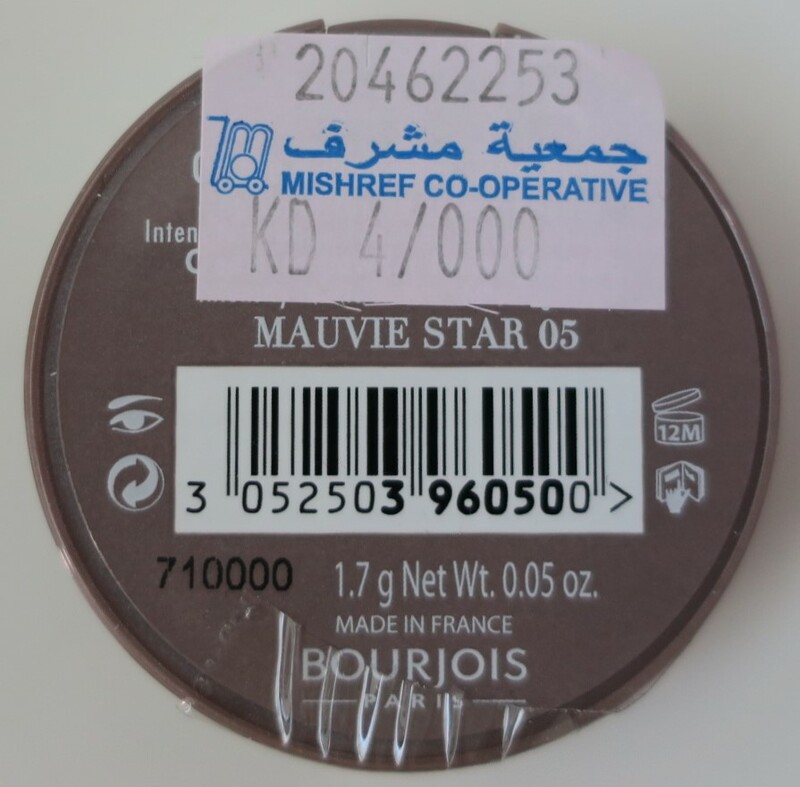 That said, the packaging is tres adorbs and even the name (a lovely mauve shade called Mauvie Star) is quite charming! I could’ve easily dropped much, much, much more cash (I was in a spend-y mood and had some time to kill), but due to the Sales Assistant’s extremely rude behavior, decided to just pay for the things I was already carrying and leave.